Going a bit further up the stairs, you will arrive in what used to be the children’s playground. This small room has a rather different atmosphere. 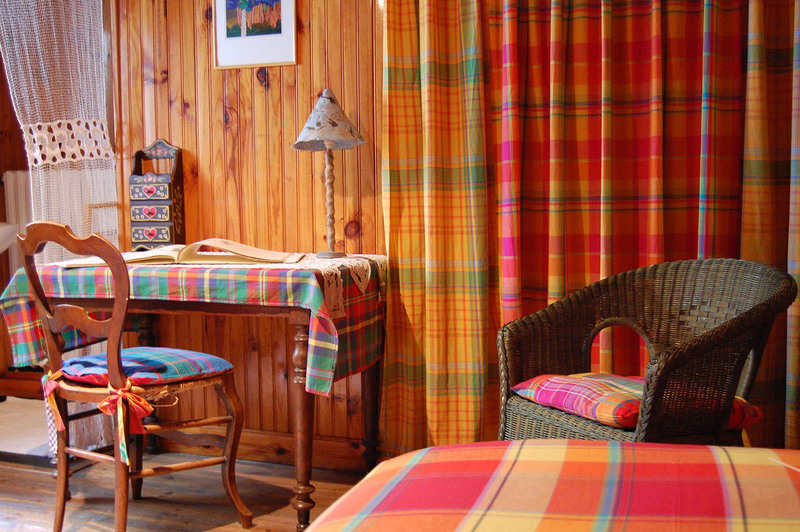 It reminds us of a caribbean cabin with its butterscotch panelling, shelves full of adventure books, seashells baskets, curtains and bedspreads in lively Madras fabric.